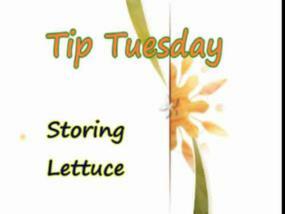 We have all been thru situations where we have either ended up with wilted lettuce or cilantro and really want to and it seems criminal to trash and waste OR let the cilantro out on the counter too long and it just looks dead…in either situation, this tip is really handy and simple. It does not get easier than this and nor does it get more obvious! 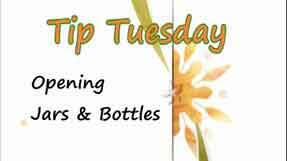 Why would anyone have to suffer thru warm or diluted wine when there is such an easy fix…and see how pretty the glass looks! Enjoy and Happy Holidays! 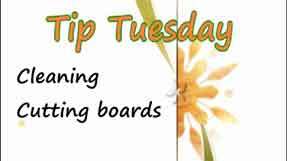 We use and abuse our chopping boards everyday but it is important to give them some ‘tender loving care’ every once in a ways. 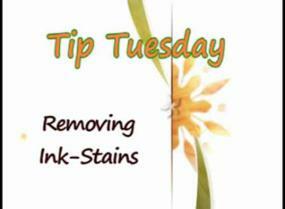 Here is an easy trick that can keep them looking clean and sanitized as well. Sometimes arm strength is not enough to open those stubborn jars and bottles and we have to use our brain strength to win the battle! 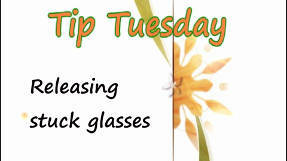 Here are a few quick tips that we like to use, let us know what is your favorite? What a cute idea. 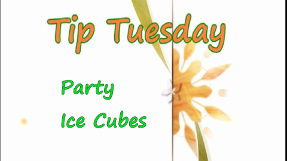 Giving your beverages an oomph with a little extra personal touch will make you and your guests smile a little more. Simple as can be and we still wonder why we did not think of this one before! Sometimes it can be some simple trick that has been right under your nose but it still takes someone else to point out the obvious. This tip is just that. 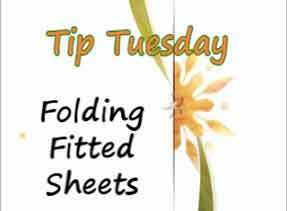 Organize your sheets and the co-ordination pillow covers together and stack them up neatly for easy access. 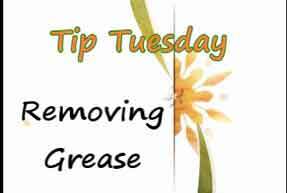 See this week’s Tip Tuesday and learn how to remove grease from containers. Looking for a home made, eco-friendly way to unclog your drain? 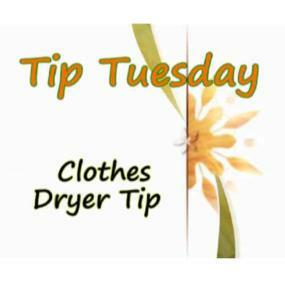 Watch this week’s Tip Tuesday! This happens to all of us, getting embarrassed by all the food stains on our plastics! 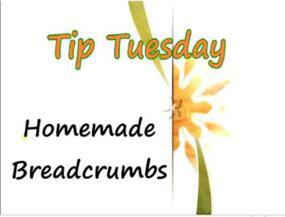 Here is a simple, no-frills trick that works like a charm! 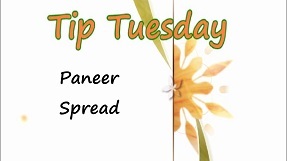 Thanks Gurvinder for this awesome tip. 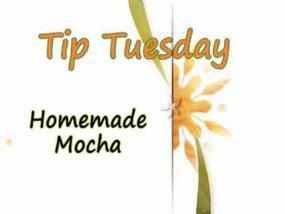 Watch this week’s Tip Tuesday and learn to how to whip heavy cream into something light, fluffy and usable in many dessert recipes. 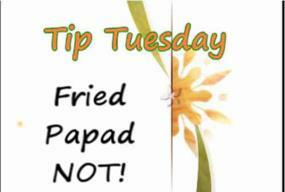 Watch this week’s Tip Tuesday for great tasting fried papad without the frying! Have you ever wondered what is the difference between jams, jellies and preserves? 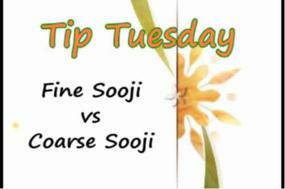 Well, watch this week’s Tip Tuesday video for the answer plus a tip! 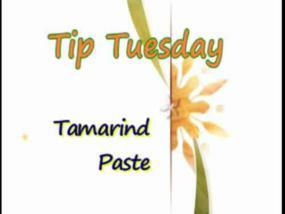 Taking out Tamarind Paste or Pulp from Tamarind may be one of the easiest things for some but not for some! 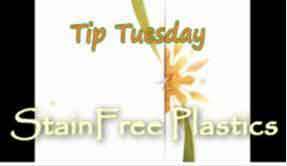 The store bought paste jars are really convenient to have around but if you follow a few easy steps – it can be just as simple for everyone. 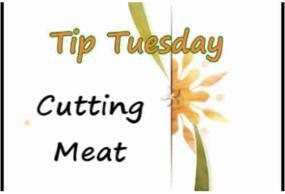 Watch this week’s Tip Tuesday for meat cutting made easier! 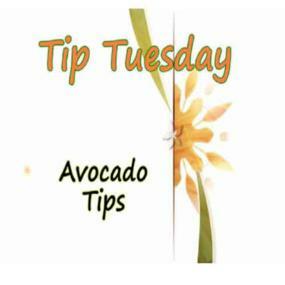 No more brown bananas or apples coming back home in the lunch box…watch this week’s Tip Tuesday video for a quick and easy remedy! 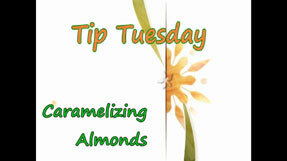 Many recipes call for peeled or sliced almonds. 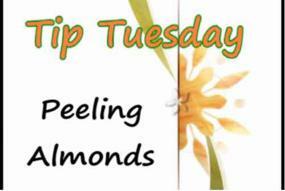 Watch this Tip Tuesday video for a super easy and fast way to peel whole almonds. 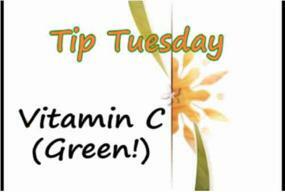 Vitamin C – Keep Greens Green! 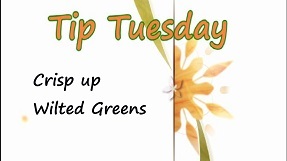 Tired of seeing your beautiful green vegetables lose their vibrant color during the cooking process? 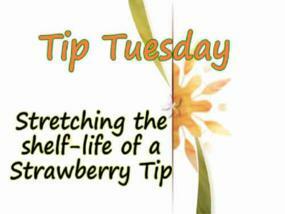 Watch this week’s Tip Tuesday video and learn how to make Vitamin C work for you. It is not just for your colds anymore. 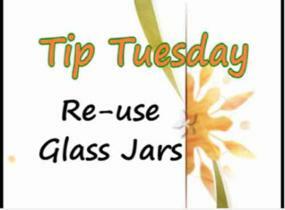 Reuse Glass Jars – Go Green! Want to save money and go green all in one shot? Reuse that pasta sauce bottle to store some spices! It’s a great idea to reuse some of the glass jars we tend to throw out, but watch out…moisture is your enemy! 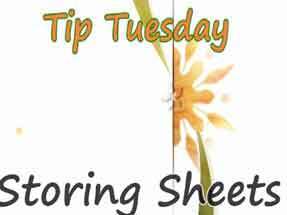 Watch this week’s Tip Tuesday video. How many times have we all worked for hours and then realized that the Soup or Curry has too much salt? Instead of throwing it away, there is a perfect fix! 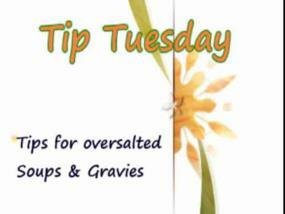 Watch this week’s Tip Tuesday video and learn how to save your Soup, Gravy or Curry from a Salt disaster. Many different recipes call for Roasted Sooji (Suji, Semonlina, Cream of Wheat, Farina) but it’s a time consuming effort. 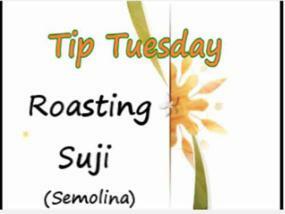 Watch this week’s Tip Tuesday video for some time saving ideas about roasting sooji. Whether we are making yogurt, paneer or dessert, we all have to boil milk at one point or another. 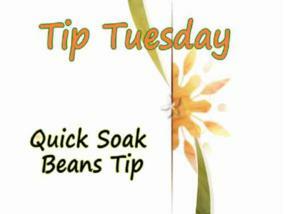 Here are a couple of helpful tips to reduce the amount of milk that sticks to the pot and prevent it from boiling over. 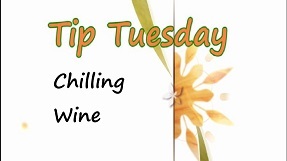 Enjoy this week’s Tip Tuesday video. We love asparagus but it can be a little pricey at times. 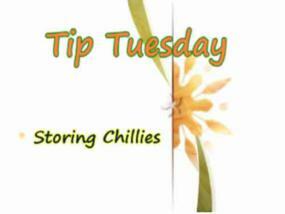 Find out how to get the most out of your asparagus and help to reduce waste with this Tip Tuesday video. 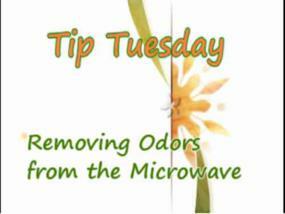 Microwaves tend to hold on to a lots of odors, Here is a quick method to get rid of it, take a wet paper towel, put it in a bowl and put in in the microwave for 1 minute. And Voila! You have a great fresh smelling Microwave! Raw Onions – Take the Bite Out! 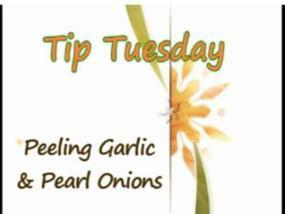 Have you ever wanted to use raw onions for salads or raita and were afraid of the pungent and sharp flavor? 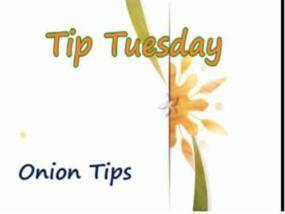 Try this easy tip to take that bite out of raw onions and make them a bit milder. 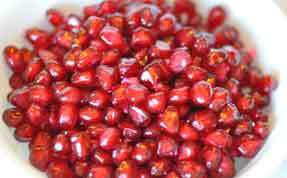 Cut and soak them in water for about 15 minutes and you’ll be amazed! 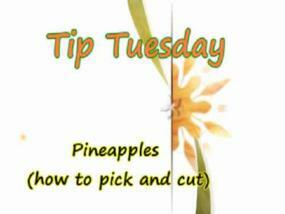 Pineapples (How to Pick and Cut)! 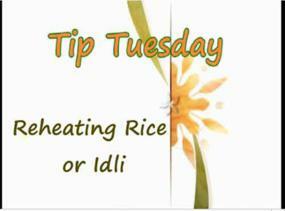 Have you ever had leftover rice or idli that was hard and crumbly? 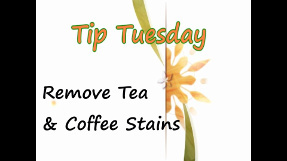 Use these easy tips to re-steam and freshen them up. 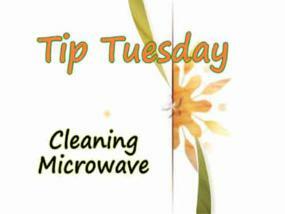 You can use a microwave or simple pots and pans you have at home. 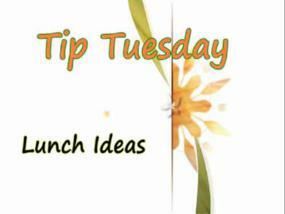 Lunch Ideas for School and more! Great ways to freshen up the pillows and give them a fresh (and extended) life! 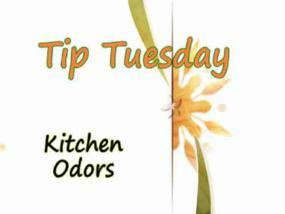 This tip is great for people who suffer from allergies or if someone with a sickness, freshen them up and get rid of all the bacteria. From Show Me The Curry, we wish you good health. 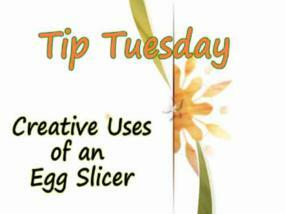 Here are some different ways to make use of the egg slicer. Few of the things on our list are: Strawberries Olives Mushrooms Paneer Grapes Egg (ofcourse) Any others that you can think of, please share them with us. We would love to add on to that list! Every time you loose a button and promise yourself you’ll fix it, then just get lazy or find better things to do. 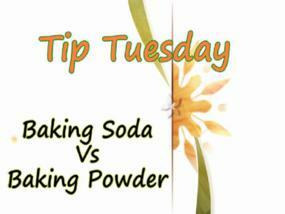 Remember this simple trick that can save you all that aggravation and headache. Save that button and save the headache! So some of the pressing questions are now taken care of! 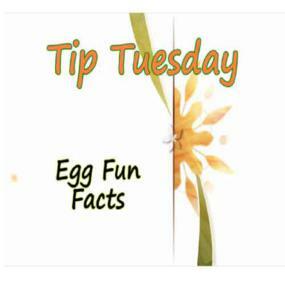 In this Tip Tuesday session we have explained a few but very important tips about Eggs. 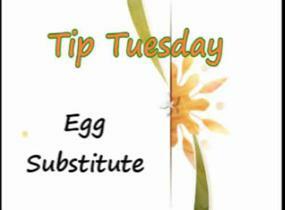 Enjoy your eggs and as always stay healthy. This has happened to so many of us…a cake of burnt food at the bottom of the dish (shhh..we won’t tell anyone if you don’t). Here is a trick that we learnt and no one needs to know the truth! 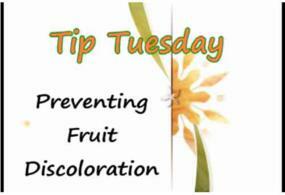 Have you ever bought fruit from the grocery store only to find that it was no where near ripe enough to eat? 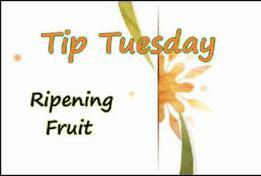 Watch this video and learn how to ripen fruit quickly — in a matter of a day or so. 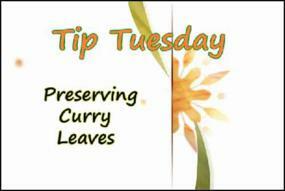 Curry leaves (aka Kadi Patta), whether you buy them from the store or have a plant, are a precious commodity. 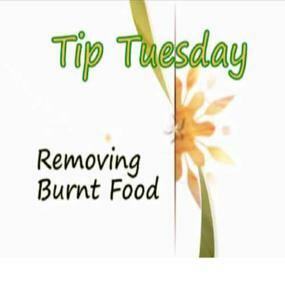 Watch the video to learn a simple way to dry and preserve them for later use. How many times have you had to throw away Cilantro because it spoils before you finish it up? 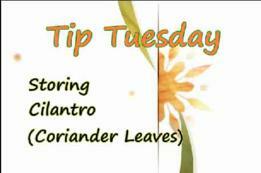 Try this method for storing Cilantro (Coriander Leaves) and keep them fresh for 10 to 14 days. 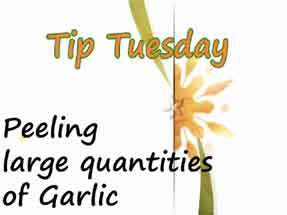 It’s “Tip Tuesday” on ShowMeTheCurry.com! 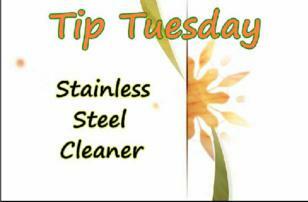 With the popularity of Stainless Steel appliances on the rise, we’ll show you how to make an inexpensive and “green” homemade Stainless Steel Cleaner. 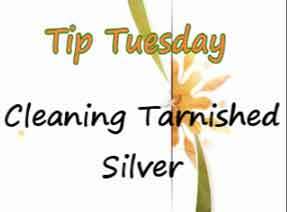 Watch the video to find out how to make your appliances shine!.